TheFIREstarter’s comment on Monevator’s recent post about financial independence, where he alluded that the two contributors to the website (The Investor and The Accumulator) were the same person and that the Investor was the alter-ego, ie the Tyler Durden from the film ‘Fight Club‘, got me thinking that as someone striving for FI, I too am part of a ‘secret’ and ‘underground’ community, a club, a… ‘FIght Club’! So says the most famous quote from the movie and how apt it is in relation to FI. Like most people striving for FI, I do not talk about it. Firstly, people would not believe me. Secondly, they might be jealous. Thirdly, they’d think I was loaded or had won the lottery. Lastly, they would just wonder what I would do with all my time as I’d be bored to tears doing nothing. Apparently. I don’t talk to my colleagues about it – I think I mentioned Mr Money Mustache one time and nobody was interested enough to even check out the website. I don’t talk to my family about it – I’m sure they’ll be supportive but unlikely to think I’ll succeed. My best friend has an idea of what I am trying to do but doesn’t know the full extent of it (she only sees my cutting back on buying things). Aiming for FI can be somewhat lonely but the whole FI/PF blogging community – the FIght Club – makes it less so. We’re not on our own in this secret club! I used to buy a lot of stuff I didn’t need but it wasn’t to impress people I didn’t like, it was because I equated happiness with buying and owning new stuff. Thankfully, this is no longer the case – these past couple of years, I’ve avoided going shopping unless absolutely necessary, yet my wardrobe and cupboards are still full of clothes and shoes, which I can wear without my friends being ashamed to be with me haha! It’s my birthday next month and my friends and family are asking me what I want. I’m really struggling because there is actually nothing that I want. I do however need a new pair of trainers so that can be something to suggest. I have two weddings to go to later in the year so I can’t get round with not getting one new outfit but it certainly won’t be anything expensive – I don’t need to impress anyone but mysef! *EDIT – at these gatherings, it’s not really like a Fight Club, ie we don’t beat each other up! It’s funny, isn’t it? Mr ETT and I were having a “robust financial discussion” the other day, and one of his arguments was “no-one else I know has an Emergency Fund”. Now, that’s another whole argument in itself, but I did think at the time … “That’s because we’ve never asked anyone if they have one!” The more we talk about things, the more acceptable and mainstream they become. We recently found out that one of the ladies at work isn’t having her contract renewed. Turns out she is completely unfazed, because she said she doesn’t actually need to work. And although there was a twinge of envy, the overriding emotion was pleasure that she was in a comfortable position. Perhaps we as a community don’t give other people enough credit? You’re absolutely right – people just don’t tend to talk about finances, whether good or bad. I know some of my friends ‘put money aside’ for big bills but does that mean they have an actual emergency fund? I’ve no idea! I met up with my best mate this weekend and had a proper chat with her other half for the first time – we talked about pensions haha! These kind of chats should be a lot more common and mainstream. That’s great news about that lady at your work – that’s what I’d like to aim for, not have to worry about things should I feel the need not to work, or if that decision is taken away from me. Thanks for reading and commenting. I hope you continue to enjoy the blog – I try to be as positive as I can! I completely agree about keeping things quiet. Throughout my whole journey to FI I kept it quiet. People knew I was careful with money but had no idea what I was doing with it. In the past few months I have told a few people what I have been doing and what my future intentions are. Other than 1 person it has been a very negative response. I have now reverted back to saying nothing and simply getting on with my own life. I’m sorry to hear that you’ve received negative responses – sounds like a bit of green-eyed envy to me. I’m not sure I’d be entirely open with my friends about what I’m doing, even if they asked, unless I knew for sure that they were on the same journey I was on. Unless it’s mainstream (as Mrs ETT mentions), most people might be too blinkered to see what can be achieved. Hope all’s well with you and Alison. “We buy things we don’t need, to impress people we don’t know” also seems to work for a lot of people! I’ve recommended reading Mr Money Moustache to quite a few people and, as far as I know, not one of them has bothered to look at the site. I’ve also recommended The Motley Fool books and website in the same way and, again, nothing. I do now chat with friends quite a bit about pensions, but it tends to be with over-50’s as it then begins to dawn on people that this is something worth knowing about. Trouble is, pensions are such a complex (and sensitive) subject that you don’t want to give the best advice on it: namely, that you should have started saving thirty years ago! The only people who are remotely interested in talking about pensions are indeed over 50 and most of them just bemoan the fact that their pensions will never be enough! I like the fact that the film has anti consumerist slant as well, great film! Cheers for the inspiration, TFS! 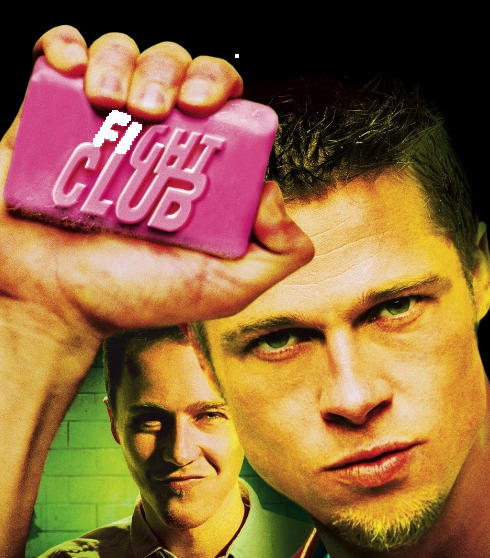 I just checked out the availability of fightclub.com but it’s not available – did you register it, or was it gone already? But yeah, would have made a fantastic FI blog name! I’ve tried talking to a few people over the years about the fact that they could become FI. Most just glaze over, so I don’t bother now. It’s easier to follow the herd I suppose, but one lady I work with told me that she had read a few MMM articles and she got it. I’d forgotten that I had even recommended his site. This was just last week. Maybe there is hope. Thanks and congrats on helping one person ‘see the light’ with MMM! Great inspirational website. I’ve decided to try and become FI. I’m putting away approx 50% of my income in premium bonds and isa’s\savings accounts each month. Like you I am keeping quiet about it to friends and colleagues. I’m a bit sick of hearing colleagues in work talking about their lease cars in one sentance and in the next sentance saying they have no money left till payday. The majority are paying off loans\credit cards\car leases etc. If they want to contribute to the profit of banks so be it, but thats not for me. I prefer living a frugal life without material goods. Thanks and I’m glad I’ve provided a little inspiration! I know that 50% is not easy so it’s a great goal to go for – I wish you all the best with your efforts. I think my friends are resigned to not retiring early (if at all, according to one of them!). Most of them are younger than I am though, so perhaps in a couple of years time, they may see the light! I love the idea that I’m in a secret FIght Club, I have to say I have found the FIRE community so welcoming and helpful, it’s really fuelled my interest in early retirement and given me the confidence to go for it myself.